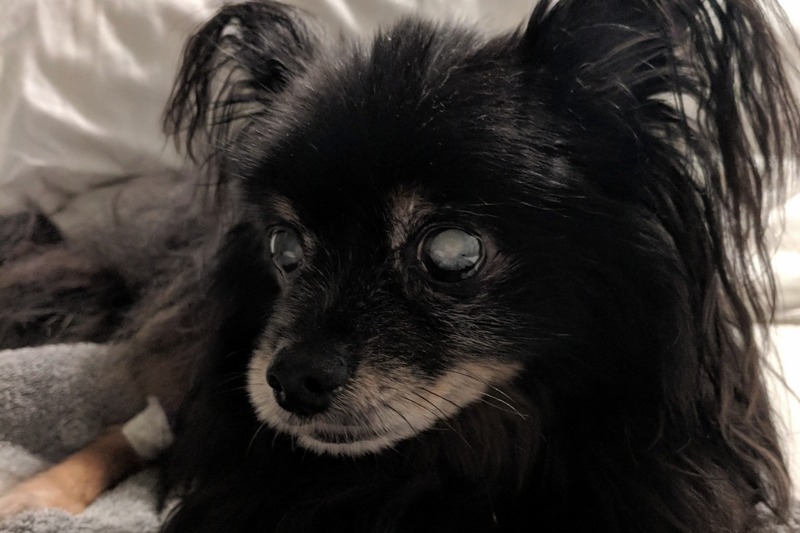 On October 30th my husband's 17-year-old chihuahua/pomeranian cross Kichou fell off our bed and badly dislocated his hip. He needed emergency veterinary care (x-rays, pain medication, hip reduction) as the alternative was putting him down. While he should make a full recovery the bill was over $1500, and it has tapped us out. 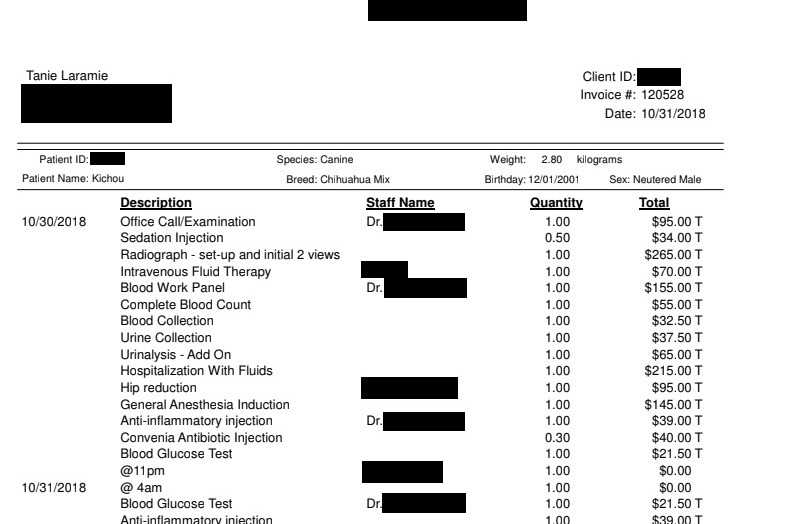 We are still trying to get back on track from my own dog's emergency vet bill from when she was attacked in the spring (a bill we paid ourselves/did not fundraise for). Anything you could give to ease the burden for our family would be amazing since we had to use all the money we had been saving for Christmas to save the dog instead.